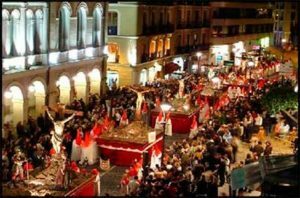 If you will be Spain during Semana Santa, expect to be blasted into the past and completely taken away by the festivities. Around the world Semana Santa it is also known as Easter or Holy week and it is a time of celebration of the Passion of Christ. To many, Easter is the time of year when a cute white bunny rabbit hides tasty chocolates around town. 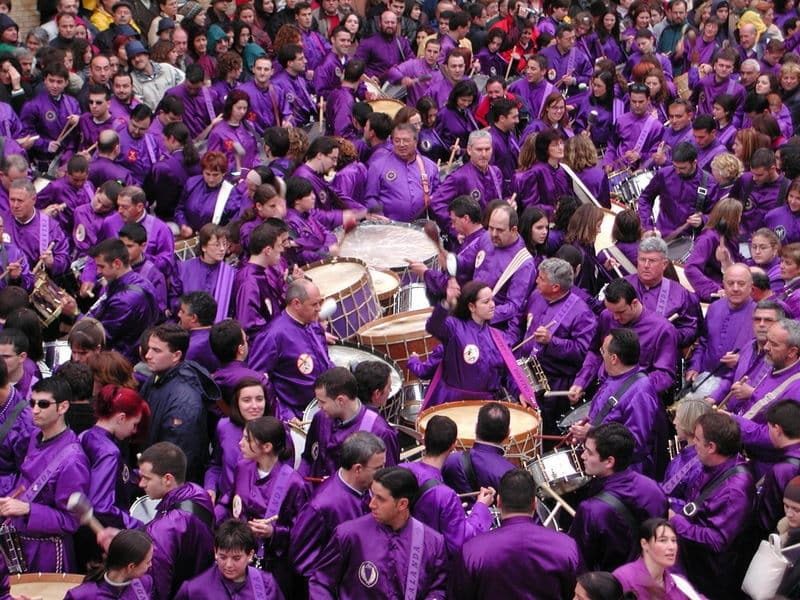 However, in Spain they still maintain many of the 15th century traditions during Semana Santa which makes it for a slightly more somber occasion. Somber it might be, but for those who have never experienced these passionate, traditional religious ceremonies it will surely be something special! 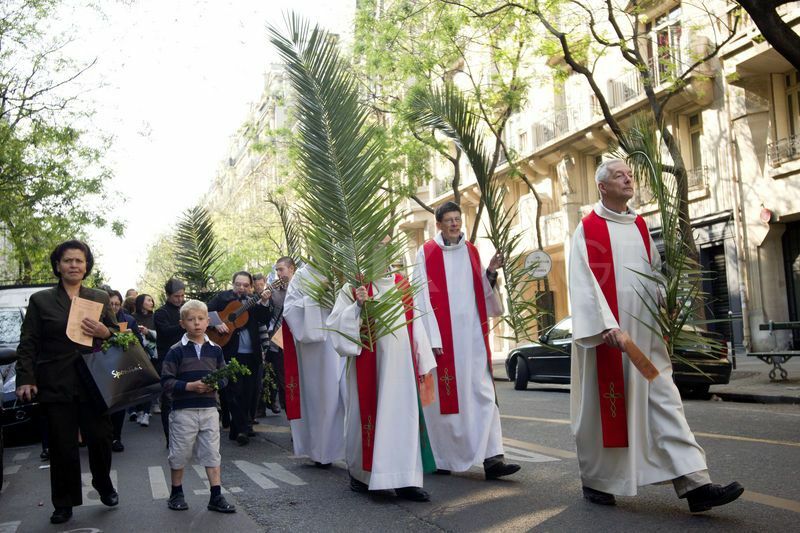 Holy Week, much like the name suggests, is a week long festival. Each day of the week revolves around different aspects of the Passion of Christ, so we have written a weekly plan of what you can do to join the festivities from the April 14th – April 21st. 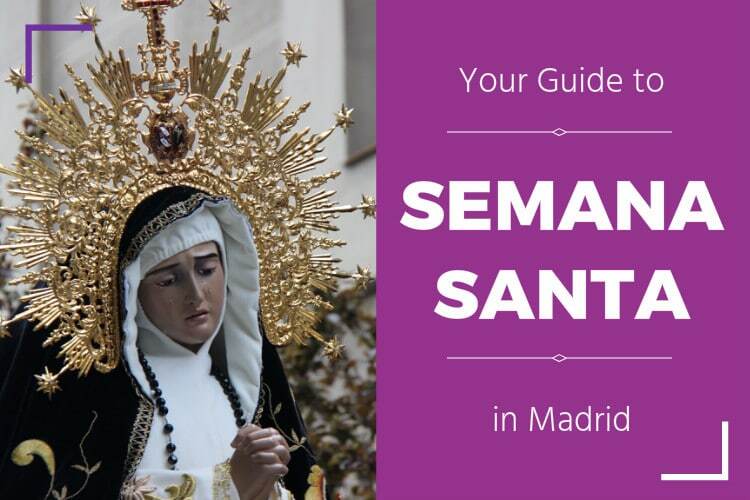 This is the first day of the Semana Santa processions. 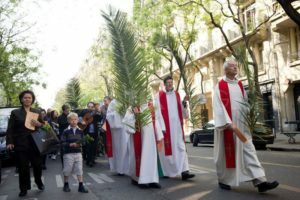 Palm Sunday honours the icon of Cristo de la Fé y del Perdón and Santa María Inmaculada Madre de la Iglesia and simulates Jesus Christ’s coming to Jerusalem. The procession starts and ends at the Basilica de San Miguel. Around 6:30 in the evening, the procession will continue through the streets. You will find that many of those who are taking part in the ceremony will be wearing some very severe outfits – these clothes are similar to those worn in late 14th century. 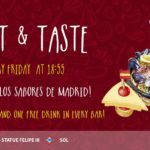 On Wednesday Madrid will celebrate the “third fall of Jesus Christ” or las tres caídas with live music and a street walk that will start and finish at the Plaza de San Andrés at 9:00 pm. There are two interesting events during Jueves Santo, and the first is El Cautivo Divino. 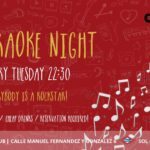 A procession that started with prisoners after the Civil War, it features the image of Jésus el Divino and will take place at 19:00 outside of Colegio Calasancio in the Salamanca neighborhood. The other tradition, also at 19:00, is the procession of Nuestro Padre Jesús Nazareno “El pobre” y María Santísima del dulce nombre en su soledad. Members of the Illustrious, Primitive, and Fervent Brotherhood of Nazarenes will present the massive images of Virgin Maria Santísima de la Esperanza and Jesús del Gran Poder on top of a beautiful altar carried by monks dressed in traditional clothes. The procession will start and end by the Church of San Pedro, called “El Viejo”. 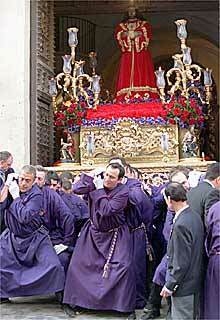 One of the more eerie processions of Semana Santa is the Procesión del Silencio (Procession of Silence). You will notice that those in the parade are in some of the most traditional outfits you have ever seen. Not only are they completely covered in black and white cloth (including their faces) but, as the name suggests, they are completely silent. 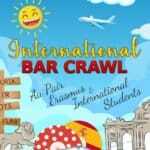 The parade begins at Plaza de la Parroquia around 21:00. At 16:30, the city will host the last procession before Easter Sunday called La Soledad. This procession will begin and end from the Church of the Royal Conception of Calatrava. This is the most important and last shebang of the Holy week. 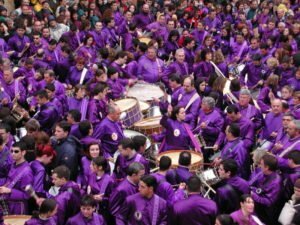 The city will gather in Plaza Mayor at 12:00pm to witness the the Tamborada del Domingo de Resurección, which means the Drums of the Sunday of the Resurrection. The Plaza is filled with brotherhoods as they rhythmically bang on hundreds of different drums to simulate the earth tremors from the day of Jesus’ death on the cross. 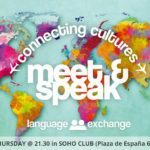 What time is the Easter Sunday celebration in plaza mayor? It starts at 12 int he afternoon! But make sure to get there early because it gets VERY full!